Thread: Letlit PL041 - portafilter emulsion disc? Hi all, long time watcher, first time poster. Usually found all my answers from other posts but looking for a bit of help on this one. I've been using an Aeropress for some years now for home brews but recently picked up a cheap 'Imat Junior' machine. From some online searching I found they were also branded as a Letlit PL041. 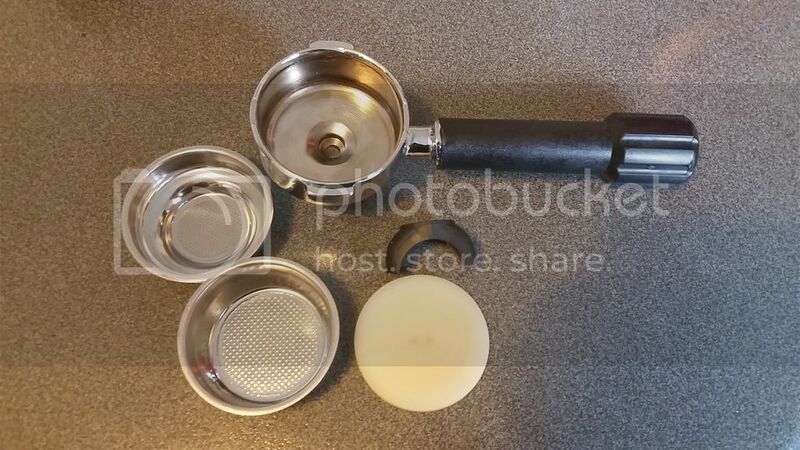 I did notice between the portafilter and the basket is a rubber disc with 2 small pin holes. Is this an emulsion disc? Something to assist creating more creama? I'd prefer to learn making espresso without any assistance. 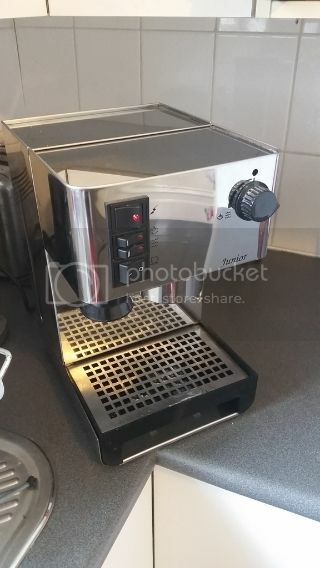 Can this be removed and I just use the portafilter with basket only? Never seen one of these inside a PF on old Nemox and Quaha machines. If it's just a plastic insert I would pop it out. Can you see it if you take the spouts off? You could try popping it out from the bottom by giving encouragement through the hole where spout screws on. It's the whitish rubber disc below that sits inside the PF. You can just make out the 2 pin holes in the middle. The basket then goes on top. It was easy enough to remove but just wondering if it's necessary? I'm waiting on the spares to arrive so I haven't have a proper play around with the machine yet. Thanks for the clarification Mal! Rubber disc into the bin. .